A little crochet project for me. Our Christmas was full of storms and rain. We had some movies and quiet time during the day, and so I picked up my hook and some yarn and got busy on this cute project. 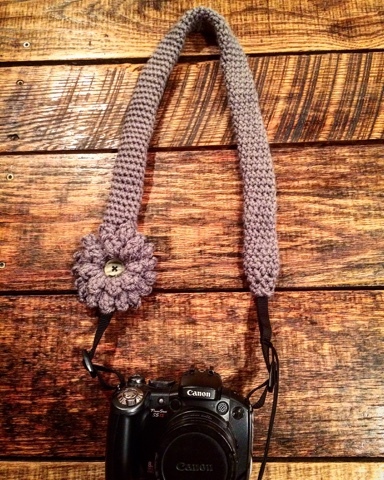 My current camera strap irritates my neck, so I thought if I could make myself a strap that was a bit softer, it would be perfect. 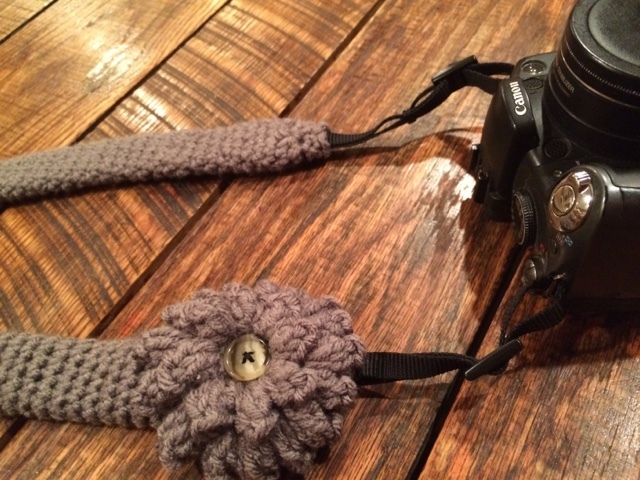 I decided to crochet a strap around the current strap. 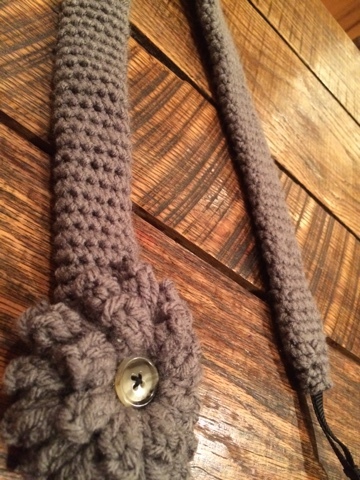 I crocheted a little 'tube' and slipped the current strap through. I think it was about 10 single crochet stitches around and slip stitched together to form a circle. I did that over and over until it was long enough to enclose the old strap. After I got the new strap long enough, I began to decrease each side until it was very snug on each end. 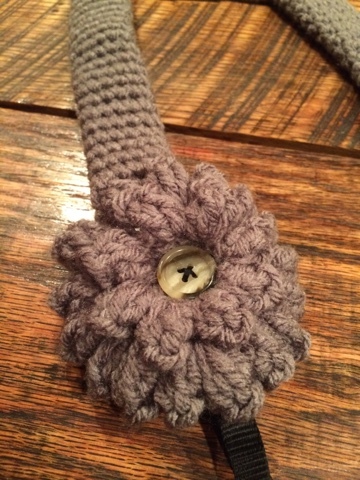 Then I crocheted a popcorn flower and attached it and added a button. I think it turned out just like I wanted.